Milt was born in Burley, Idaho and lived there until after high school. He grew up in a family of 6 boys; he was the 4th. They spent time fishing, hunting, camping, playing sports, and swimming. Milt received an Associates Degree from Ricks College and went on to further education at Idaho State University where he earned a Bachelors Degree in Business. 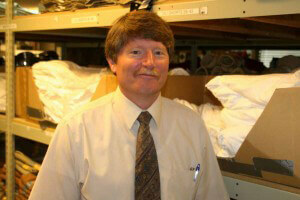 Milt has worked in sales for over 20 years, spending most of his career in the sporting goods market. In 2006 he joined Redcliff Ascent as their warehouse manager and purchasing agent. Milt met his wife in college and they have two grown married children. Milt has spent time traveling to England, South Africa, Scotland, Mexico, Canada, and around the US.